This week, what with the clocks going back this morning and the weather turning has been one of sorting myself out ready for the new season. As you know, I avidly ebay'd and Vestiaire'd over the summer but I've gone back into it, you can find things I'm parting with like some much loved dresses here, an Acne jacket here or an unworn Sandro silk shirt here. Drop me a note if you want them... I'm slightly obsessed with wardrobe recycling now it's become almost an addiction, particularly in the run up to my holiday - need extra funds! On top of that I've been getting on top of my 'clothing care' regime. First off, I've taken my summer jackets to the dry cleaners to be cleaned and now have them ready in their plastic wraps for next year (and have parted with a couple, my local charity shop has done well out of me recently). I also took a couple of pieces (I bought a Victoria Beckham dress in a sample sale last week, that was a little big around the waist) to be tailored and any nicks or holes to be repaired. Next up was sorting out my jumpers. After making a pact with myself to only buy decent ones I'm now the proud owner of some lovely cashmere pieces. So when Whistles' emailed with their new wool care plan it couldn't have been better timed. With their new cashmere section, they've decided to give their customers some top tips on how to wash and take care of those more expensive wool pieces in their journal feature. Step 1: Cashmere falls into the ominous hand wash only category. For best results, first clean out the sink to ensure there are no other cleaning products in there that may damage your cashmere. Alternatively, use a clean washbasin. Once clean, fill your sink or basin with cool water. 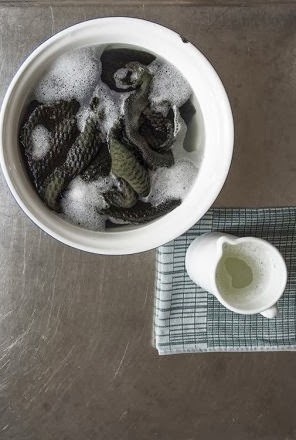 Step 2: Add the recommended amount of fine-garment detergent and briskly run your hand through the water to distribute the detergent and generate suds. Investing in a specialised fine garment detergent will maintain the sumptuous, sink-into quality of your cashmere pieces. 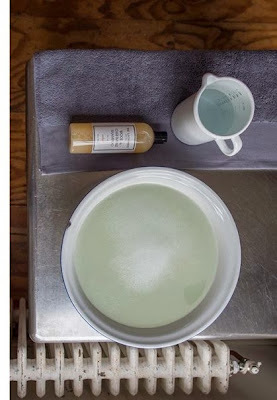 We recommend the Laundress cashmere shampoo, although, baby shampoo works equally well. Step 3: Turn your garment inside out and submerge the sweater and gently squeeze the suds through it. Spot treat any problem areas with a squirt of neat detergent and massage gently with fingertips. Rinse and repeat where necessary and allow the garment to soak for 10 minutes. Step 4: Drain the sink and rinse your sweater with cool water until the water rinses clear. 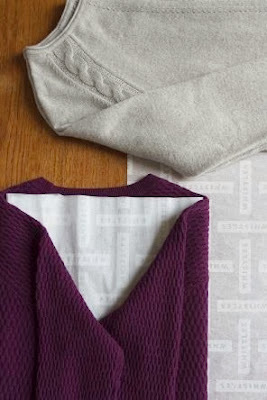 Gently press water out of the sweater and place it lengthwise on a clean, dry bath towel. Then roll up the towel and press with your palms to squeeze out excess water - do not wring or twist. Contrary to popular belief, pilling on cashmere is not a sign of poor quality or a design fault. The pilling is a natural characteristic of the long fibres and can be easily removed using a cashmere comb, electric depiller or a sweater stone. Avoid depilling precious cashmere pieces too often as this may result in holes. Step 5: Remove the sweater from the towel and smooth it out into its original shape. 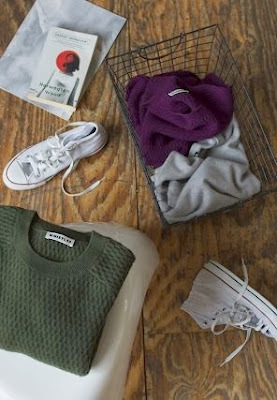 Lay the sweater flat on a dry towel and allow it air-dry, or use a drying rack if you have one. Button up cardigans and pull pockets straight and ensure that sleeves and hems are laid flat to avoid unsightly wrinkles. Step 6: Once dry, fold your cashmere with tissue paper to absorb any excess moisture. Do not hang cashmere as it will de-shape your garment. To keep dreaded moths at bay, we recommend hanging mothballs in your wardrobe. Hanging rosemary in your wardrobe is an effective organic alternative. This is so helpful. My cashmere has a very short lifespan as I never know how to take care of it properly. And it's heartbreaking. Such a helpful post.